Updated Thursday January 24, 2019 by TLBR Board. Registration for the 2019 Tallahassee-Leon Babe Ruth Baseball season will end on Sunday, January 13. Each player has been assigned to a tryout group based on the school the players attends or is zoned for. The next step in the process is for each of the public school tryout groups to conduct evaluations to determine its 2019 team. These evaluations are expected to be completed by Monday, January 21st. See schedule below. Some players not selected will be assigned to an open team tryout group, which will be held on Wednesday, January 23th. Lions: Tryouts will be announced. If you are in this tryout group, you will receive an email to notify you of the tryout time(s) and date(s). Timberwolves: The tryouts for the Timberwolves will be held on Tuesday, January 15, beginning at 4:30 pm at the Chiles High School baseball field. Arrive early to checkin and warm up. If you are in this tryout group, you should have received an email from the TLBR Board with more information. Trojans: The tryouts for the Trojans will be held on Friday, January 18 at 5:30pm at the Lincoln High School baseball field. Arrive early to checkin and warm up. If you are in this tryout group, you should have received an email from the TLBR Board with more information. Panthers, Raiders, and Open Team(s): Tentative: January 23rd at Fred George Park. Tryouts at 5:00 pm (note time has changed); Arrive early to checkin and warm up. Information will be sent to the registrants through email. The schedule for all other team evaluations will be set individually by each team. Each player and coach must be registered in SI Play. Contact the Board for more information. Babe Ruth International and local policies restrict the size of each roster to fifteen (15) players. Not all registrants will make the league. The Board is currently working with other local recreational leagues to ensure that late registration opportunities following the open team tryouts will be available for those who are not on a Babe Ruth roster for 2019. We will provide more information when available. Each of the team managers primarily look for players who have the knowledge, skills, abilities, commitment and character to be a part of Tallahassee's premier baseball league. Because safety is paramount, each player must demonstrate the ability to protect themselves at all times. It remains Tallahassee-Leon Babe Ruth Baseball’s objective to provide a competitive baseball experience. In doing so, a commitment to the teams as well as the league itself is expected. Many of the players will have other baseball opportunities and the league recognizes this by not scheduling games on Friday and Saturday if possible. There are many players who want to play in this league, so we respectfully request that if a player cannot commit to the full season including the post season you advise the league as soon as possible. 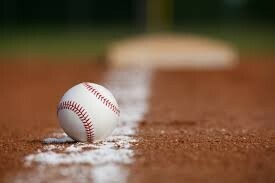 The season begins in late February to early March with Spring Training. This is a mandatory program for 13-year olds and optional for all others. Boys who are playing for a middle school team will be excused. The regular season will begin immediately following the high school junior varsity season, likely in the last week of April. All teams will play two (or occasionally 3) games a week (home and home) for a 14-16-game regular season and also participate in an end of season tournament. Pending weather delays, the tournament should conclude in mid-June. See the Important Dates link on this website for more information. Tallahassee-Leon Babe Ruth Baseball is committed to making this experience special but we cannot do it without you. There are board positions and project leaders needed. If you want to commit your time and talents we can find a place for you. Please contact TLBR at info@tallahasseebaberuth.org for more information.